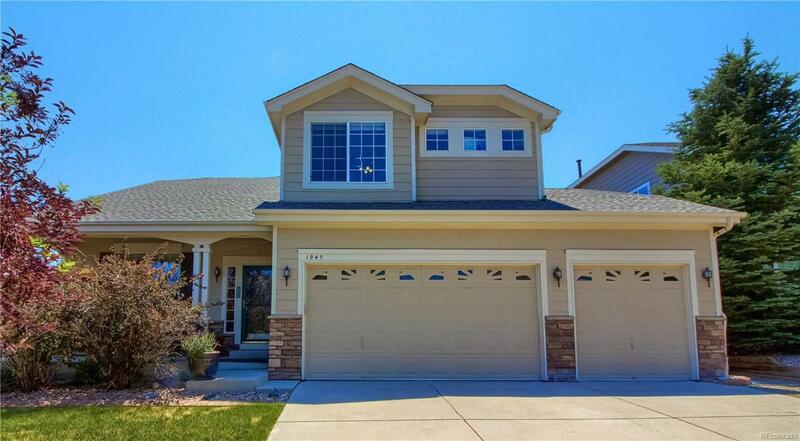 This beautiful 5 bedrooms / 4 bath corner lot home, backs to open space and gorgeous views. Huge custom deck connected to a playhouse with a bridge. Freshly painted interior with new carpet throughout. The Gourmet kitchen with island, breakfast nook, large family room and office with french double doors are all overlooking the gorgeous open space views. Large master bedroom with a five piece bath and walk-in closet. Amazing oversized loft area for entertaining. The laundry room has built-in storage cabinets and a utility sink. Also, a gorgeous finished walk-out basement with a second master or mother-in-law suite, additional bedroom, wet bar and a large great room which was freshly painted and has new carpet throughout.